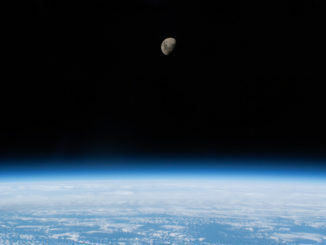 The three U.S. astronauts aboard the International Space Station said Monday they’re ready to sign up for a trip to the moon if NASA can meet the Trump administration’s newly stated goal of returning Americans to the lunar surface within the next five years. 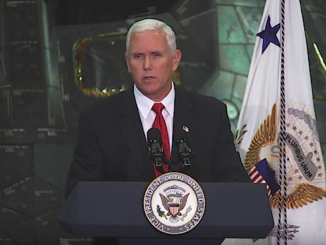 Vice President Mike Pence said Tuesday that NASA should land astronauts near the south pole of the moon within five years “by any means necessary,” calling for “new urgency” in the U.S. space program and sounding a warning for entrenched aerospace contractors to better meet schedule and cost commitments, or else lose work to other companies. 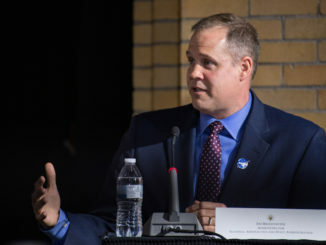 Russian engineers have a “really, really good idea” about what went wrong during a Soyuz launch to the International Space Station Oct. 11, forcing the ship’s two-man crew to carry out an emergency abort, NASA Administrator Jim Bridenstine said Tuesday. 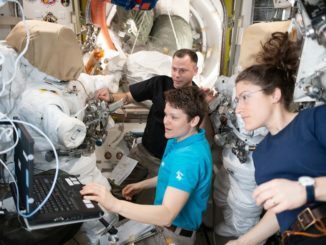 He added that he expects the Russians to resume piloted Soyuz flights in December. 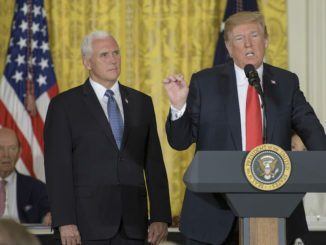 Catching observers off guard, President Trump, in remarks before a National Space Council Meeting at the White House Monday, officially directed to Pentagon to establish a sixth branch of the military, a “space force,” to ensure American dominance on the high frontier. 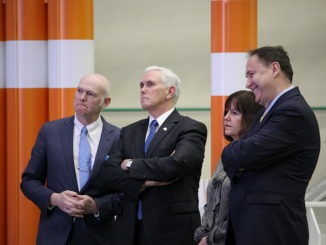 The newly re-activated National Space Council is acting quickly to streamline convoluted regulatory requirements that frequently slow development of new commercial space initiatives, a shift in focus in keeping with the Trump Administration’s directive to encourage more private sector development on the high frontier. 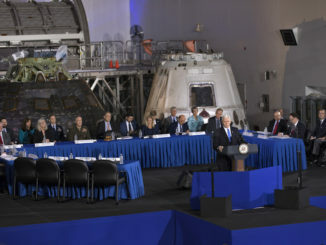 A roster of representatives from the commercial space industry, astronauts, retired military officers and politicians will advise the National Space Council as the top-level government panel seeks to reshape U.S. space policy, regulations and exploration strategies. 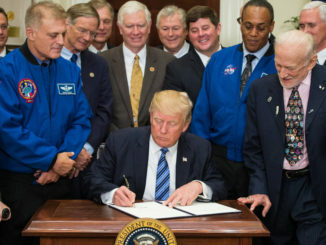 In a brief White House ceremony Monday, President Trump formally directed NASA to set its sights on sending astronauts back to the moon followed by eventual flights to Mars as part of a new national space policy intended to make sure America “once again leads and inspires all of humanity” on the high frontier. 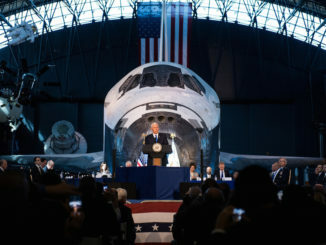 Vice President Mike Pence, chairing a revived National Space Council, said Thursday the United States will once again send astronauts to the moon, using Earth’s satellite as a critical stepping stone for eventual flights to Mars, and vowing to beef up national security space assets to counter rapidly escalating threats from adversaries. 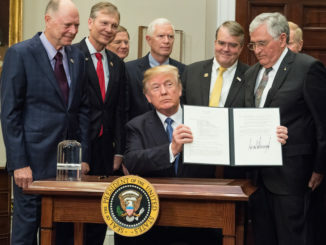 Emphasizing commercial, technological and national security opportunities in space, President Donald Trump signed an executive order Friday re-establishing the National Space Council, a space policy advisory and steering group that was last active nearly 25 years ago.